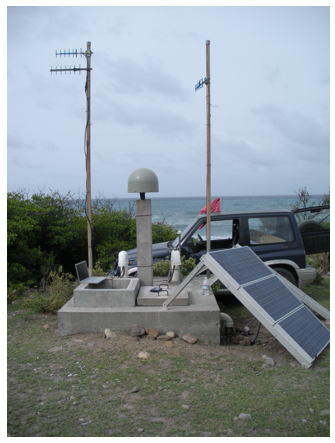 The UNAVCO facility provided support for the CALIPSO Borehole Facility (Caribbean Andesitic Lava Island Precision Seismo-geodetic Observatory) located on Montserrat, WI. The CALIPSO project investigates the dynamics of the entire magmatic system of Soufriere Hills Volcano (SHV) to enhance our understanding of andesitic magma dynamics in general. CALIPSO was initiated in 2002 with drilling and installation of four high-sensitivity borehole seismic and ground deformation (strainmeter, tiltmeter, cGPS) stations around the SHV. Principal funding was from NSF (CD and I&F), with some contribution from UK sources. The installations were completed by 2004, and CALIPSO data have been recovered from SHV, including those from a prodigious lava dome collapse (historically the world's largest) in 2003, and explosions in 2003 and 2004 (Mattioli et al., 2004). The CALIPSO project involves scientists and students from six US institutions (ASU, U Arkansas, Carnegie Institution of Washington, Cornell, Duke, Penn State), Bristol and Leeds universities in the UK, and the Montserrat Volcano Observatory (MVO). Prof. B. Voight is Project Director and Prof. G. Mattioli is CALIPSO Facility Director. UNAVCO's support role for this year's trip was to upgrade and optimize the radio modem networks and to get all the equipment and sensors on line. To accomplish this all the existing radio modems were upgraded to Freewave HTPlus high-speed radio modems and a broadband DSL line was installed at the download hub in Olveston. Additionally a CISCO VPN router was also installed at Olveston to allow direct access to all the equipment and sensors from UNAVCO. All data will now be downloaded and archived by UNAVCO. 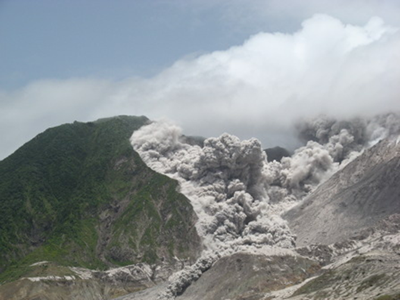 Figure 1 - Small pyroclastic flow above Perches Estate, Montserrat at about noon on 21 July 2008. The dome is to the right. [Picture courtesy of Greg Scott, Caribbean Helicopters]. Figure 2 - Station Trants.